Traditionally, routine forensic casework is based on comparative grounds. DNA profiles obtained from crime-scenes are compared with those of potential suspects or DNA profiles deposited in forensic DNA databases. The principal limitation of such comparative approach is that trace donors unknown to the investigators with their DNA profiles cannot be identified. The recent advancements in Forensic DNA Phenotyping can provide investigative leads to help find previously unknown individuals by inferring externally visible characteristics and biogeographic ancestry prediction without comparative DNA testing. 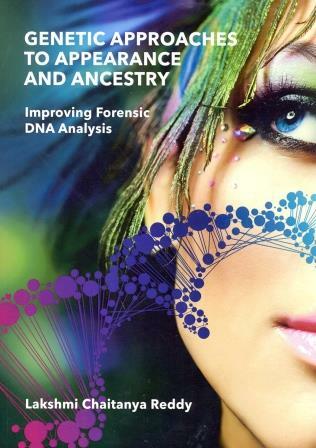 Some predictive DNA tests for appearance and ancestry were previously developed by our group, but their forensic validation, as prerequisite for casework application, was mostly missing thus far. For other appearance traits the genetic knowledge was previously not advanced enough to develop predictive DNA tests. Moreover, the genotyping technology capable of tolerating quality and quantity issues of trace DNA and at the same time allowing the parallel analysis of large number of DNA markers was previously not available, which limited previously developed forensic ancestry DNA tests. The major aims of this thesis therefore are to: - forensically validate DNA test systems for predicting appearance and ancestry that were recently developed by our group i.e., IrisPlex for eye color prediction, HIrisPlex for hair and eye color prediction, and a set of mtDNA multiplexes for maternal ancestry prediction; - develop and forensically validate a new DNA test system for skin color prediction in combination with eye and hair color prediction from trace DNA; - develop and forensically validate a new DNA test system for complete mitogenome analysis providing maximum-resolution maternal lineage and maternal ancestry inference from trace DNA.